I thought of painting them on nails. 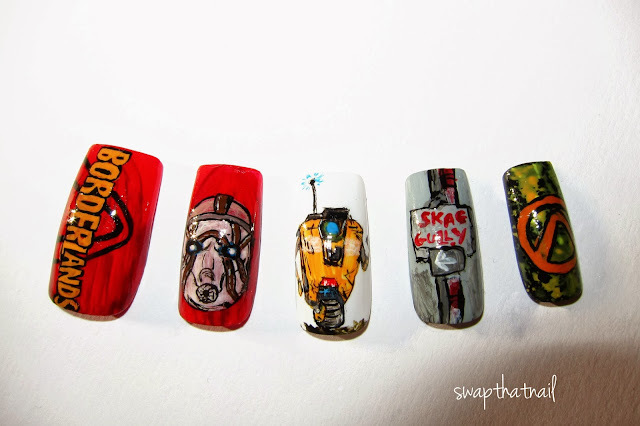 I painted logo, along with guess who psycho, ClapTrap and a board directing to skug gully. Enjoy!! !